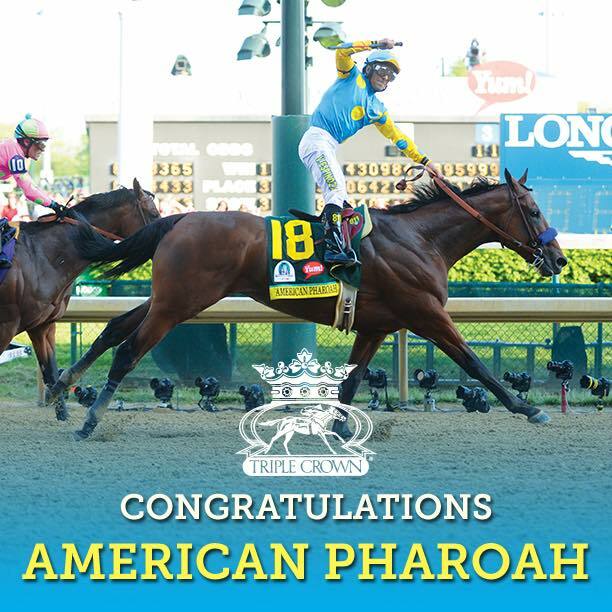 American Pharoah became the first horse since 1978 to win the Triple Crown when he won the 147th Belmont Stakes on Saturday, June 6, 2015. Jockey Victor Espinoza pushed Pharoah to the front soon after the race started, and Pharoah outclassed the field, pulling away down the stretch to make history. Frosted finished second, and Keen Ice rounded out the top three. The Kentucky Derby and Preakness Stakes champion, American Pharoah began Saturday as a 3-to-5 favorite in the morning betting line, and those were the odds when the race began. Some topics discussed during this episode are the history of thoroughbred horse racing, American Pharoah’s racing future, the pageantry surrounding the sport of horse racing and much more!